It’s that time of year—iPhone pre-order season, and the release of a new macOS. Just like the new iPhone X, this year’s macOS release has IT administrators excited, as well as nervous. This year, there is ample reason to be excited, with the release of Apple File System (APFS). If you have not yet heard about the new file system, Apple’s web site has more detailed information. Parallels Mac Management for Microsoft SCCM customers have been asking about compatibility with APFS since it was first rumored. As the API keeps evolving, it was uncertain what the final release would look like, but now we are able to answer questions and share some great news. In rare cases, a Mac may not be able to NetBoot a macOS image; you may see a blank screen at the end of the boot sequence. We are investigating the issue and will update users with more information as soon as it is available. The Format and Partition Disk task sequence step has limited support for APFS. 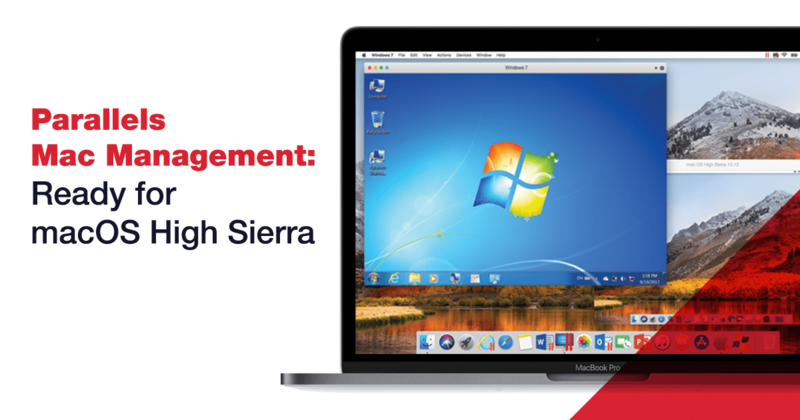 Parallels Mac Management v6.1 will be available in early October. If you have an active license you can visit the Parallels site to download the most current version. A Wild and Crazy Touch Bar!